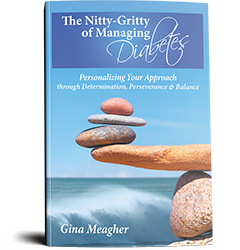 My second book, The Nitty-Gritty of Managing Diabetes, takes you on a journey to create a personalized approach to managing Type 1 diabetes. If you live with diabetes or any chronic condition, you might be surprised at just how many options you have. A lot of the management process is dependent on what works on an individual basis. 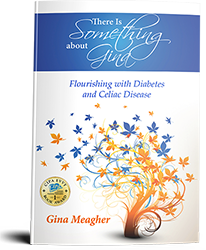 There are a few absolutes (if you’re living with celiac disease you need to avoid gluten, for instance, or if you are living with type 1 diabetes, you have to take insulin and test your blood sugar), but so much is subject to individual preference. But, that’s what management truly is (or should be) – a personal approach. I emphasize that what works for me might not work for you. The key is to find the options that are right for you – for your condition, your personality, your lifestyle. This book is really about you and for you!